The exhibition ‘Along the Coast. Gude and his students around 1870’ explores how the realistic maritime painting was established, and how significant Gude’s depictions of land and sea became for his Norwegian students at the art academy in Karlsruhe. Famous artists such as Kitty Kielland, Frits Thaulow, Christian Krohg, Amaldus Nielsen and Nikolai Ulfsten were all among Gude’s students in Karlsruhe. Following Gude’s advice they went on field trips to the beaches of southern Norway and discovered motifs from their native land, demonstrated by for instance Kitty Kielland’s paintings from Jæren. Langs kysten, Eilif Petterssen, På Jæren, Nicolai Ulfsten, 1879 P.E. For the majority, Hans Gude (1825–1903) is best known for his collaborations with Adolph Tidemand on the national romantic icon ‘Bridal Procession on the Hardangerfjord’ (1848), where Gude painted the landscape. 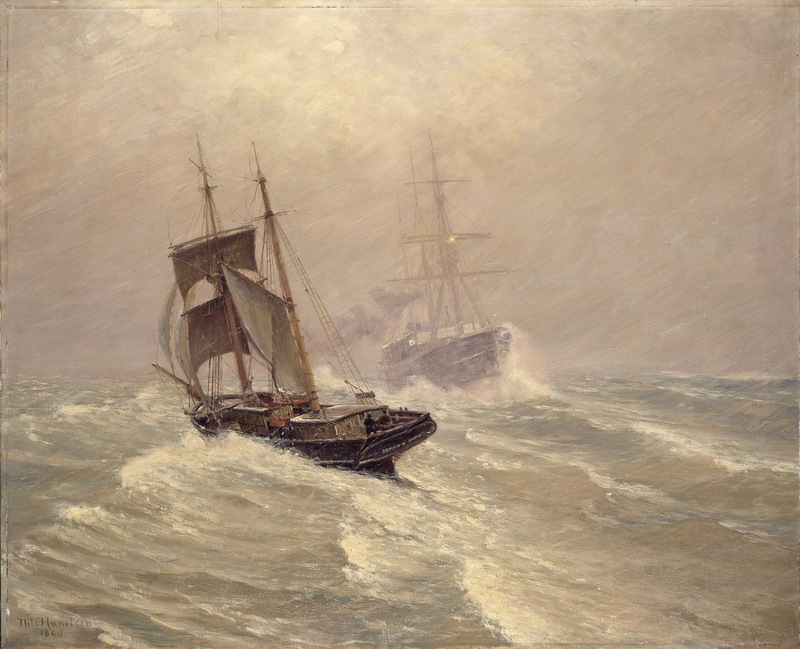 But after a while he turned to other sources of inspiration, and became a maritime painter. He had a great international career: first as a teacher in Düsseldorf, then in Karlsruhe and finally in Berlin. A total of 110 works of art are presented in ‘Along the Coast. Gude and his students around 1870’, both paintings and works on paper. 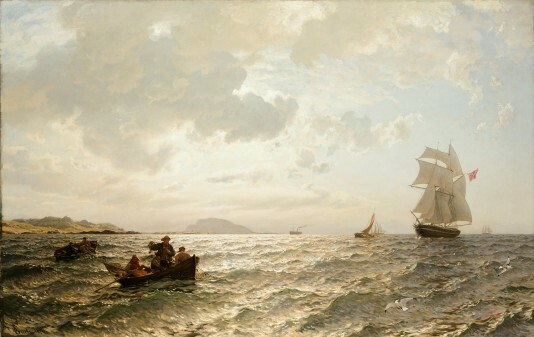 In addition to the National Gallery’s own collection, are several paintings on loan from museums in Norway and Sweden, as well as private collections. The exhibition thereby gives a unique opportunity to see art that has never before been publicly displayed.